دوچرخه به واسطه‌ی مکانیک قابل فهم‌ش مرکبیه که آدمی رو در سطح یک استفاده کننده نگه نمی داره. بارها شده خود من به خودم اجازه دادم نظر بدم که اگه این طوری بود بهتر بود و یا اگه بشه فلان چیز رو براش درست می کنم! حتی سودای طراحی یک دوچرخه کامل مختص به خودم هنوز هم در کسی مثل من وجود داره. 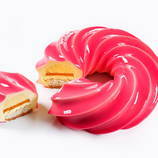 به نظر من این یک معیاره. هرچیز در دنیا که آدمی رو محدود کنه و ناامید کنه و راه ابداع و رشد رو ببنده چیزی ظالمانه ست و ظلم چیز خیلی بدیه! نه از این که دوچرخه هایی عصیان‌گر رو می بینم. از ابداعات شون کم‌تر لذت بردم و گاهی حس کردم اصلا هدف همین عصیان بوده انگار اما از نفس جرات هاشون بیش‌تر خوش‌م اومد. 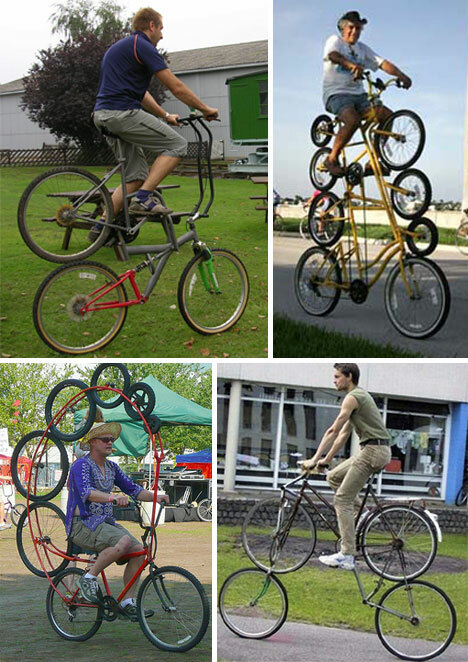 The green revolution would be a lot easier if everyone rode a bike. One way to get more people to start traveling via pedal power is to add a little creativity to an otherwise mundane form of transport. Some bike mods are exceptional; they embody a spirit of adventure and require a certain amount of funds that would blow up most budgets. 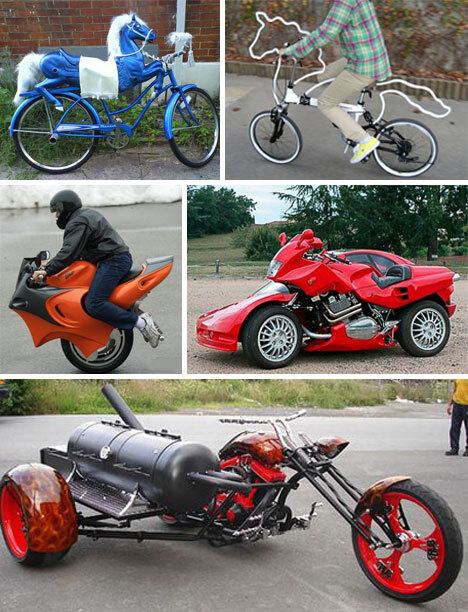 These are the beautiful bikes of the mod world. More tires are better, right? These adventurous bikers have no issue pushing the limits of locomotion. 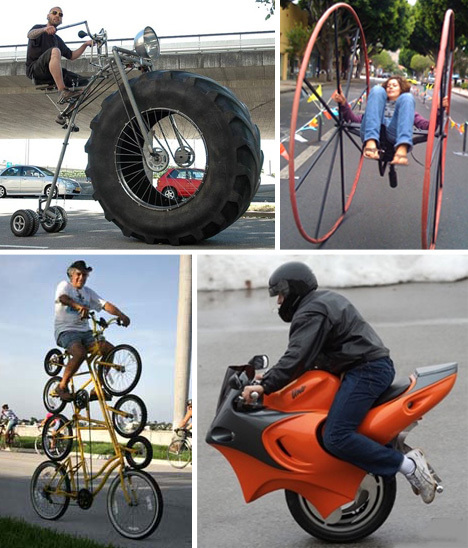 Some may see these bikes as more of a circus than a means of transportation, but nobody denies that they’re fun. 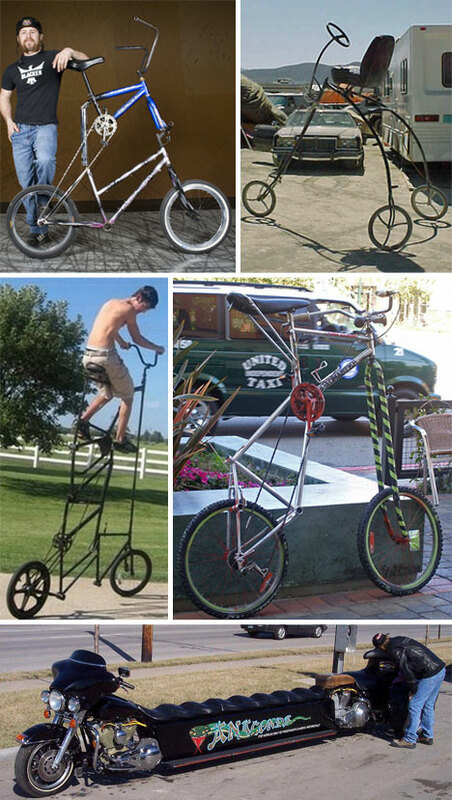 Long, tall, short, who really cares how a bike is, right? For one, the designer does. 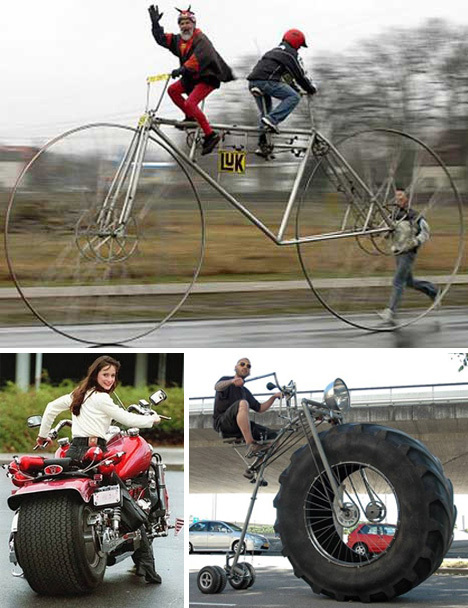 Some of these bikes are amazingly articulated considering the height and difficulty of creating such wild inventions. 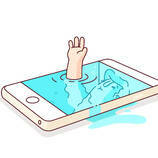 There’s no longer a excuse for not carpooling. Want more power for the bike in the family? Look no further. 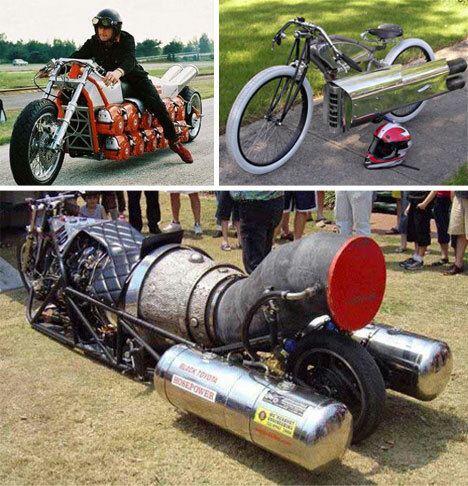 These bikes are super-powered masterpieces of engineering. Every ounce of thrust has been dedicated to the desire for speed. These bikes are fast, and dangerous, no doubt about it. 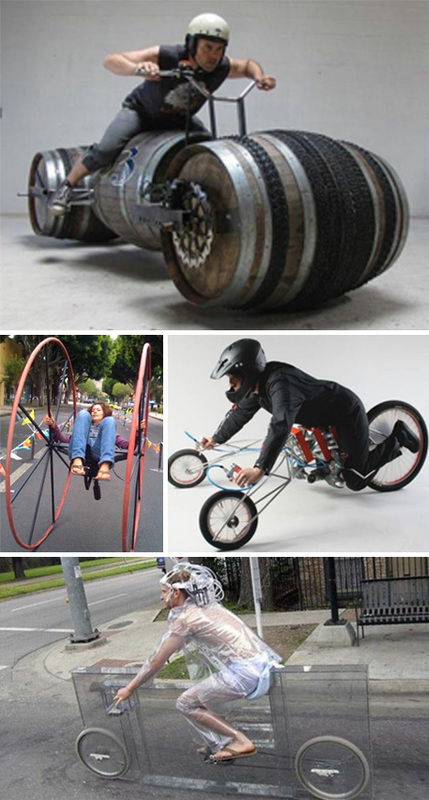 What makes a bike, a bike? These inventors have gone to the core of that question with an intense investigation. 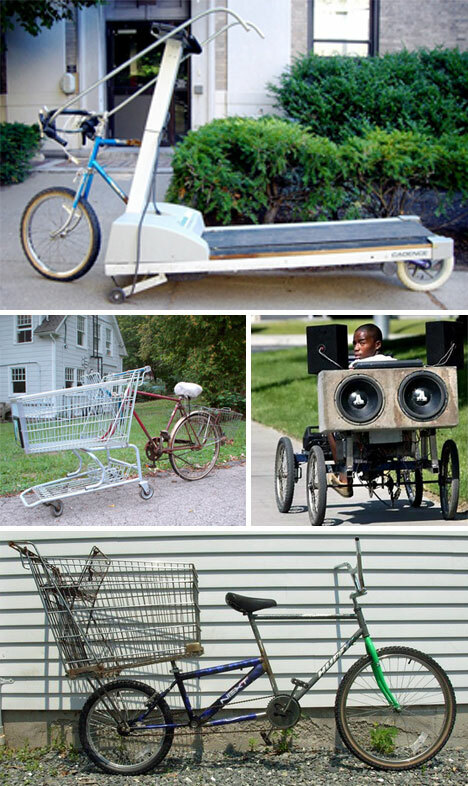 One thing is sure… don’t expect to see many of these rolling down the street any time soon. These vehicles are terrifying. An all-terrain bike looks ludicrous, but fun, while the other looks more like a beautiful torture device. Bigger is better! 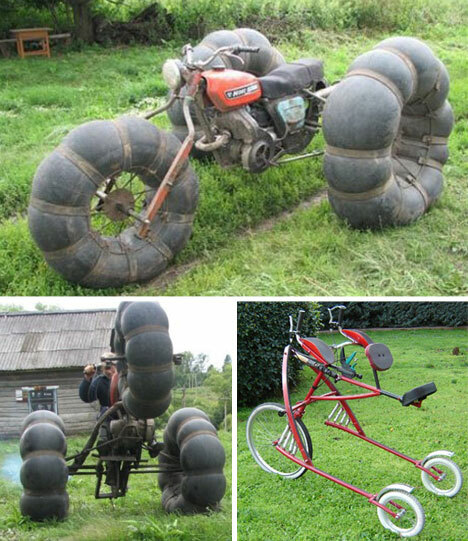 What cooler way to show off your modding skills than by adding the largest possible tire to your ride? Not all mods are made equal, though each serves its own purpose. These low-budgets modifications are certainly handy, even if they aren’t the most gorgeous engineering feats. اون پیرمرد خسته هه کیه که دارن با پسرش در جهت جمخالف رکاب میزنن...من از اینا چند تا تو تهران میشناسم...البته بیشتر پیرزنن. ساده باوریه کسی بین مایکروسافت و اپل از حیث خباثت تفاوتی قائل بشه! خوش به حال تون که می تونین دوچرخه سواری کنین.ما که مردیم از بس دنبال تاکسی و اتوبوس دویدیم و بعضی اوقات از سر ناچاری مجبور شدیم پشت فرمون ماشین بشینیم و ترافیک رو تحمل کنیم!